There is no telling when an emergency call will come through regarding an elevator repair. Don’t let your clients feel the frustration of not speaking to a live operator fast! General service or emergency, having a friendly voice answer when someone picks up the emergency handset or pushes the call button is the comfort your customers need. Our operators help assess the situation and properly escalate it according to your instructions. Our elevator answering service has over 35 years of experience helping you provide the highest levels of customer service. With a customized message and escalation plan, we make sure that every call is handled efficiently, messages delivered or patch calls through, you tell us. 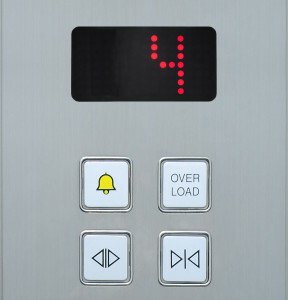 Developers, property managers, and building owners all rely on you 24/7 for their emergencies, trust that you can rely on us for all of your elevator answering. Emergency or just a question, we answer promptly and get you the message. Call Forwarding – On the job? Unavailable? We’ve got your back and our elevator answering service gives you the extra flexibility. 24/7 Live Answering – Need more time in the day? Let us give it back to you with our virtual receptionist services. We filter, so the important calls get patched through to you and the others just leave a message for later. IVR/Voicemail – Want customers to choose if they speak to a live person? We can set up a recording to play when your customers call in, they can then choose if they speak to a live operator or a voicemail. Messages on the Go – Your preferred method, as they come in, or all at once. Personalized Dashboard – Access your account without calling in, check messages and manage your on-call schedule. Phone App – Skip the sorting, see only your messages from Answer Network in OnPage. Customized Reporting – See the difference with our reporting that suits your needs. Appointment Setting – Let us help manage your calendar and keep you busy.